The Center of Refuge was a learning center prior to the earthquake of 2010. Children spontaneously gathered there as humanitarian supplies were delivered by first responders. 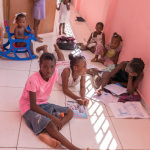 Pastor Joseph and his wife Roussemie began feeding and caring for the children. Children from displaced families, homeless, continued to bring their friends. Parents begged to have their children stay at the Center for a chance at a better life. 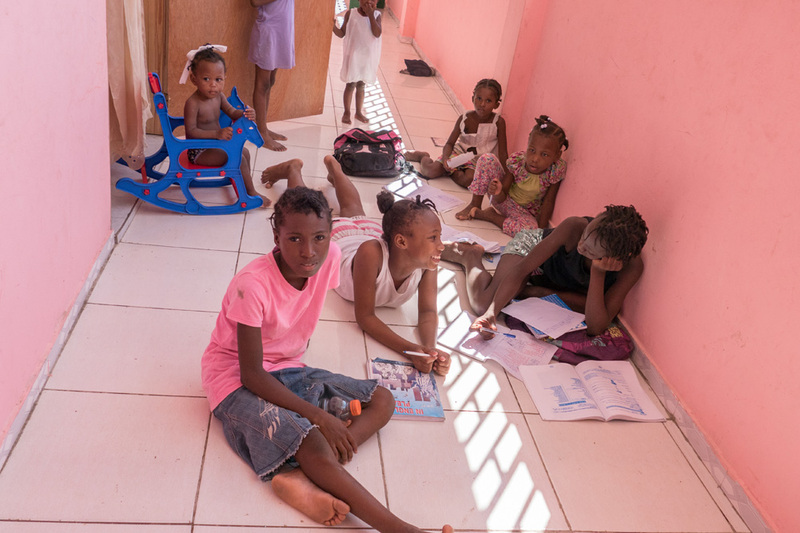 24 children remain as well as Pastor Joseph, his wife Roussemie and their six children. The children are loved. Your minmum donation of $250 gives a child at The Center for Refuge Orphanage an opportunity for education. Additional funds are needed for nourishment, clothing, housing, medical care, and higher education. The actual cost to provide for an orphan is approximately $3000.00 per year. Children may have more than one sponsor. A sponsor might choose to donate more than the $250.00 per year. All sponsorship money benefits the child. No administration fees are deducted. You will receive information and a photo of your sponsored child. There are also opportunities to correspond with your sponsored child. Please pray daily for your sponsored child and all of the children in the orphanage.